46 glow engine front bearing. 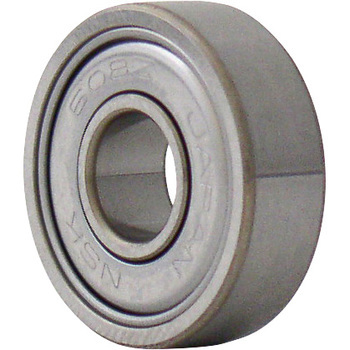 The thrust bearing surface of the inner race is thin, and it is easy to bite into the collet or flywheel and put a steel plate washer. As NTN No. 600 is thick here, I will change it from the next time. This review is about item#38399785. We are using with confidence that the accuracy can be exchanged very well without problems. I detached using a puller. After replacement it worked comfortably. It is not possible without fault. We were able to recover the quiet operation of the air conditioner quickly and inexpensively. Remove single-sided cover and use with oil lubrication. very good.